Today I have a sweet card to show you by DT Martha Tucker ( who happens to be away in Las Vegas ...no fair!! ) She used Fairest Of Them All to make this lovely card. I love the apple sentiment ...fits perfect . 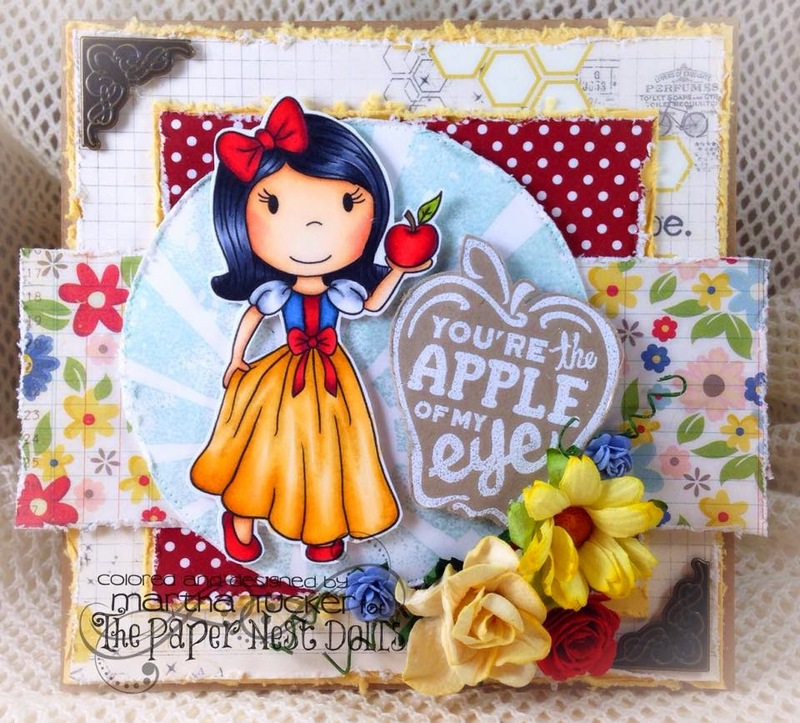 Be sure to stop by her blog HERE to see more of her amazing creations ..
Lovely image and a lovely card.